The antibacterial and anti-inflammatory actions of birch bark support it's traditional uses in skin disorders such as eczema. Traditional healers have long considered the leaves of the white and silver birch effective for skin rashes and hair loss. The essential oil of birch is astringent and is mainly employed for its curative effects in skin affections, especially eczema. 2The American species Betula lenta, (Sweet Birch, Cherry Birch) oil is almost identical with Wintergreen oil, but is not as toxic. Still, the methyl salicylate it contains can have harmful effects if used unwisely, and it is not for general use in aromatherapy and never to be taken internally. Birch bark and leaf in whole herb form have a much lower toxicity. Betulin and betulinic acid, both present in birch bark display some anticancer and anti-tumor properties, 4 though neither is touted as a stand alone cure for cancer these constituents add another reason to employ birch in healing remedies and help to validate its history of use from ancient times until today. 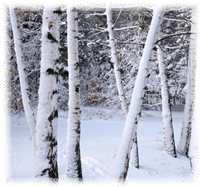 Birch Side Effects: Birch essential oil should be used cautiously and in dilution. 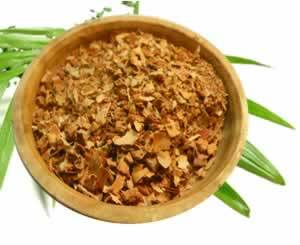 Using whole herb applications of Birch leaf and root is preferable. 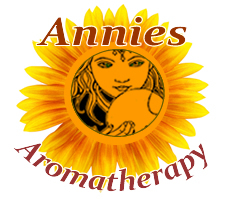 Not to be used for anyone on blood thinning medications, the elderly or fragile. Not for use when pregnant or nursing. Medicinal Parts: While birch bark, flowers, leaves, and sap are all used in herbal medicines, birch leaf is the part used most often. Birch leaf is slightly bitter and faintly aromatic. The birch is a soft-wood tree native to cold, northerly climates. The name is a very ancient one, probably derived from the Sanscrit bhurga, 'a tree whose bark is used for writing upon.' Coleridge speaks of it as the 'Lady of the Woods'. It is remarkable for its lightness, grace and elegance, and after a rain it has a fragrant odor. The sap, preserved with cloves and cinnamon, was once taken to treat skin diseases like acne as well as rheumatism and gout. Hoffmann, David (2010-12-15). Medical Herbalism: The Science and Practice of Herbal Medicine (p. 534). Healing Arts Press.